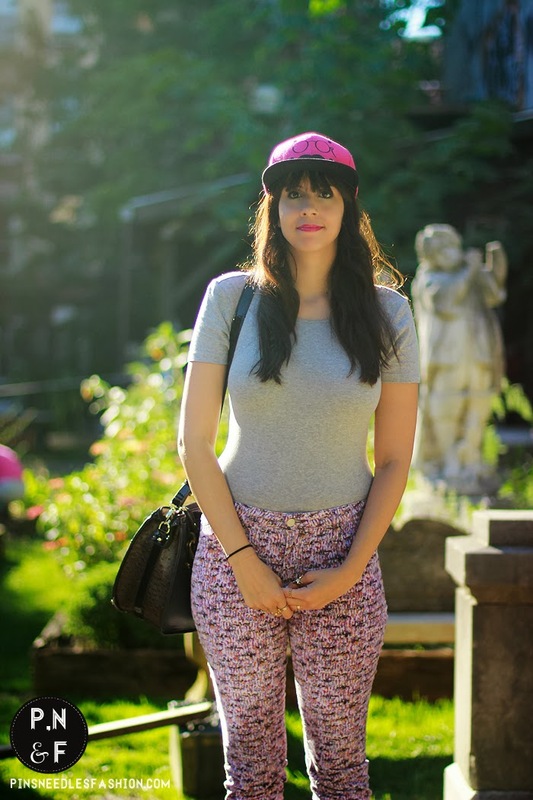 These photos were taken at the cutest little park in Soho. My boyfriend and I were having a lunch date and stumbled across this place. It was filled of sunflowers, old school benches and even some roman pillars. I love discovering new and interesting spots around the city. I got this cap at the LF store season sale. I loved the hot pink color and fancy pants mustache graphic. I knew I had to pair it with my favorite printed jeans from MJ. Do you guys like sporting the graphic caps? Such a cute look! 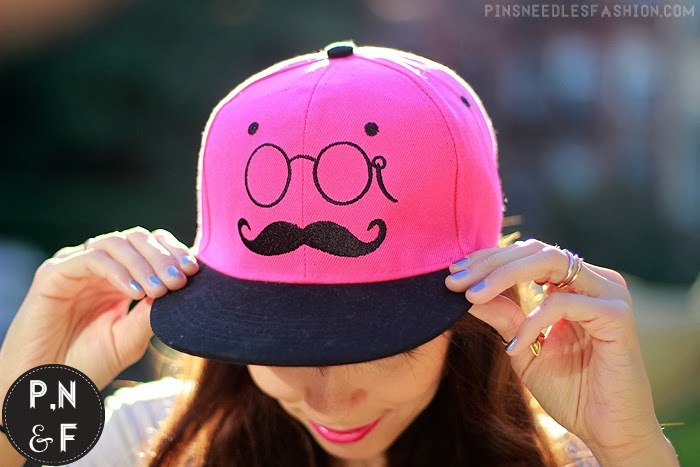 Love the pink hat! Pants I like very much but it had not combined them with that shirt. 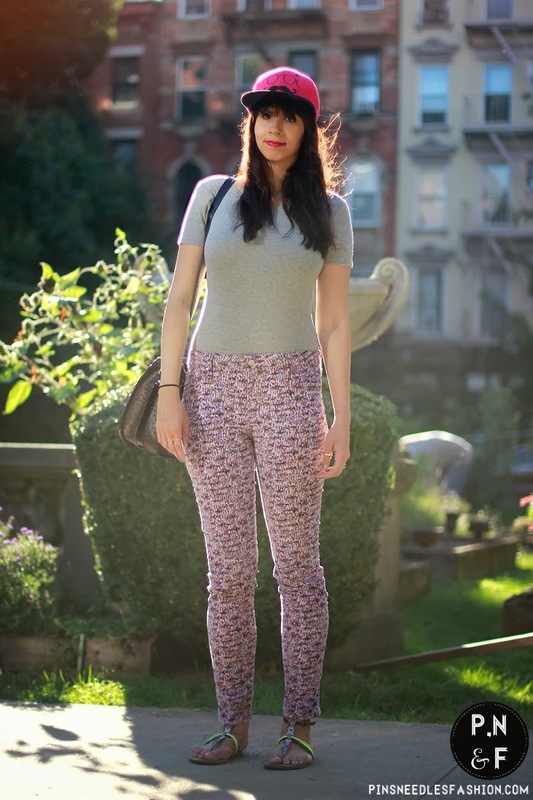 These are some seriously crazy pants and I love that you rocked them!